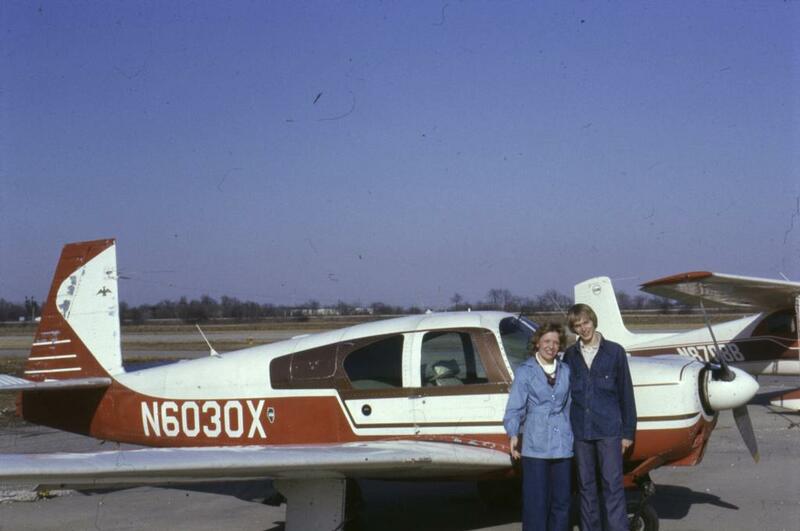 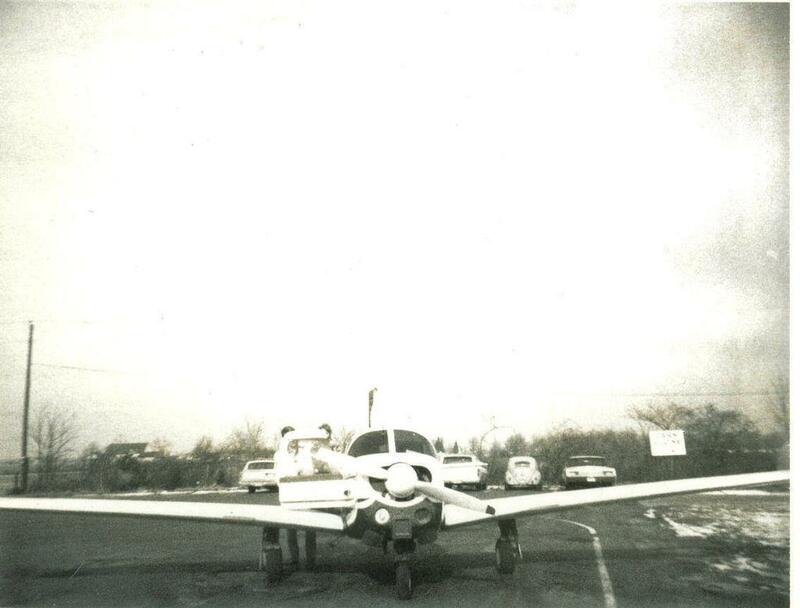 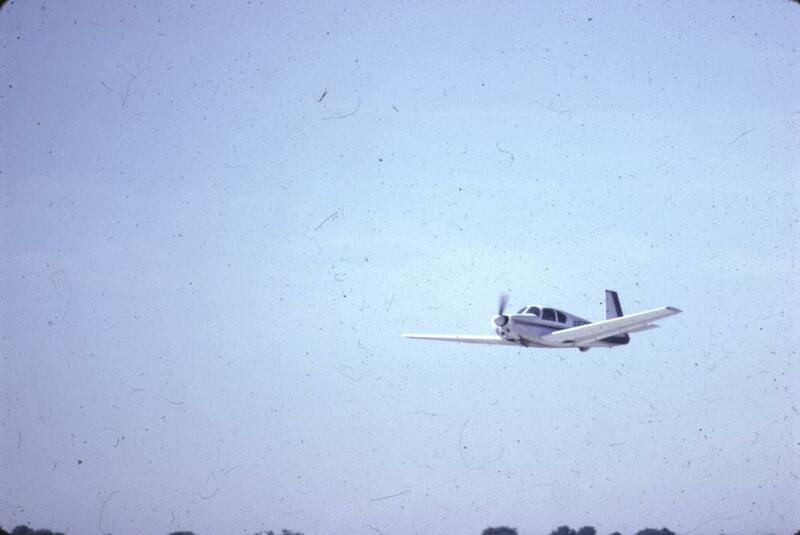 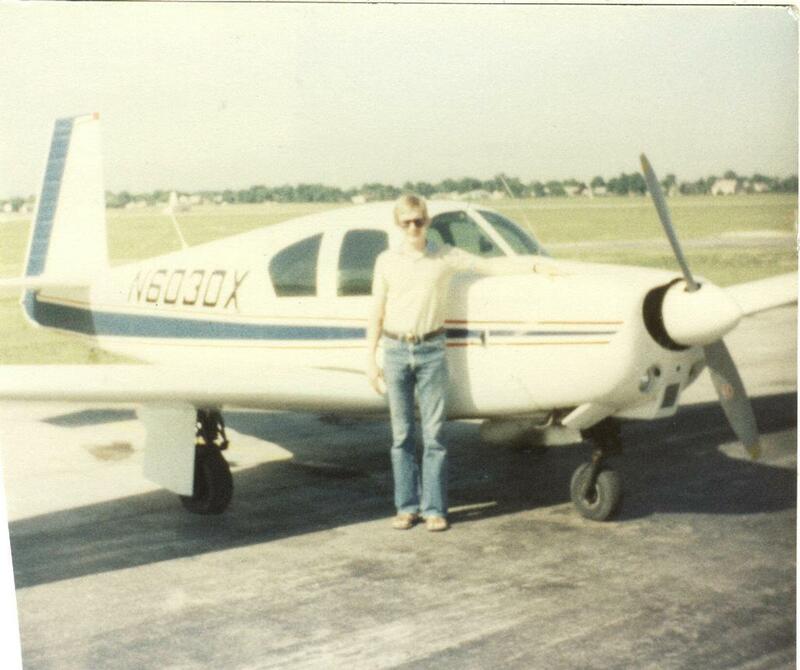 1963 April, Palwaukee, Illinois - We believe this to be the first owner of N6030X, Joe Tucker, who bought the plane in 1960 and kept it until 1968. 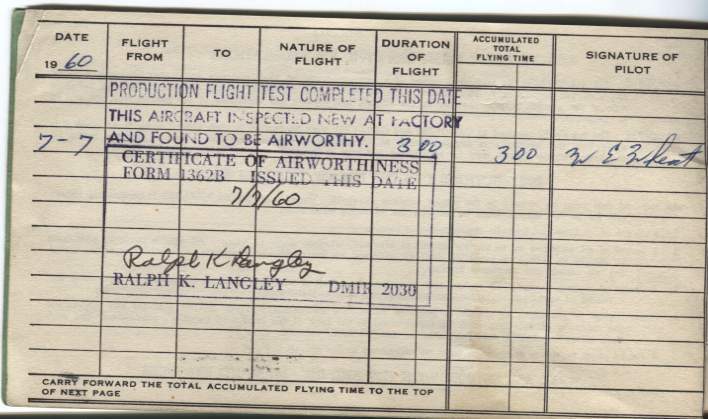 The photo was found by Todd Nessel, whose father was a CFI and took him for his first flight at 3 weeks of age in my airplane. 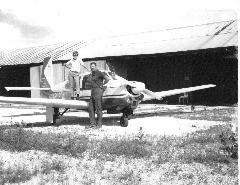 1968-1970 Sometime during that period, somewhere in the Bahamas, possibly Nassau. 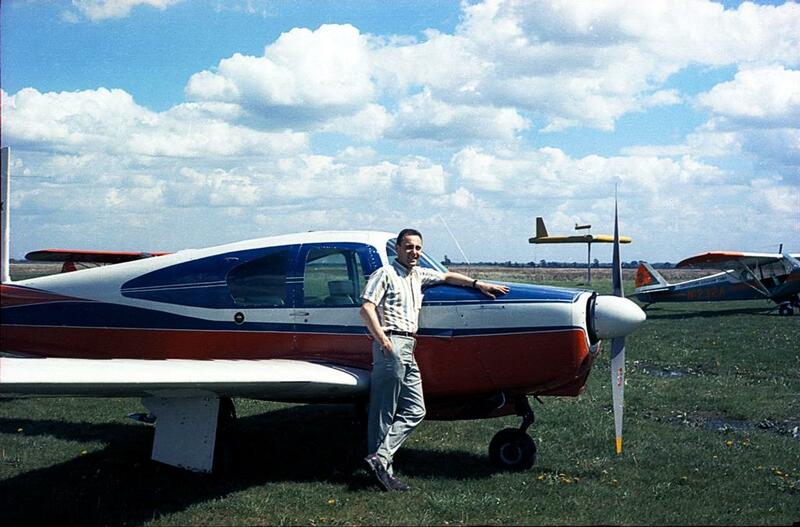 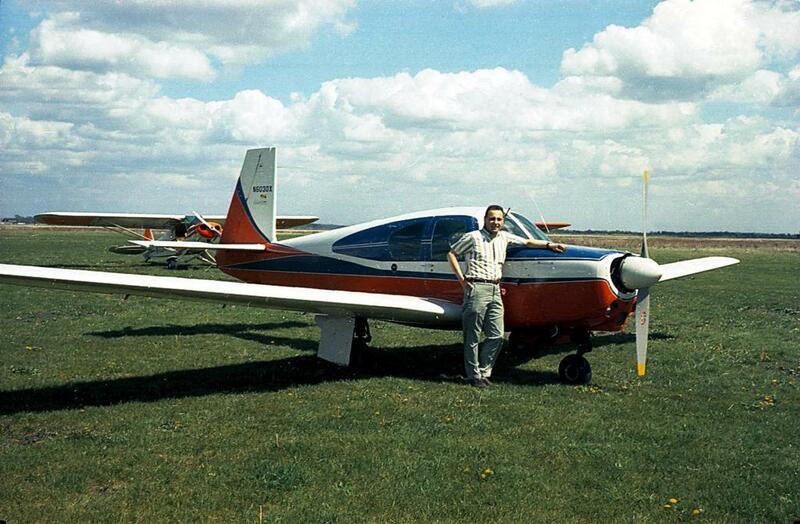 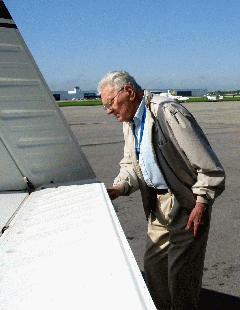 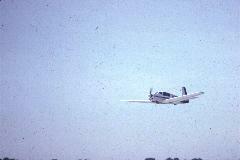 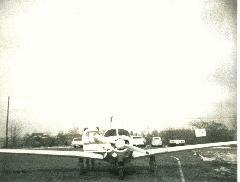 This is Richard Ott, who owned the plane from 1968 to 1991. 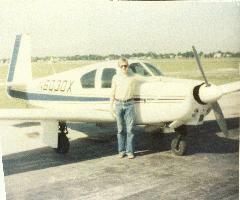 1981 New red, white, and blue paint job. 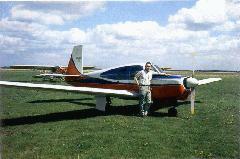 Richard Ott is the proud owner. 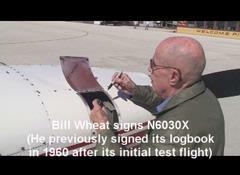 2008 Mooney Factory, Kerrville, Texas. 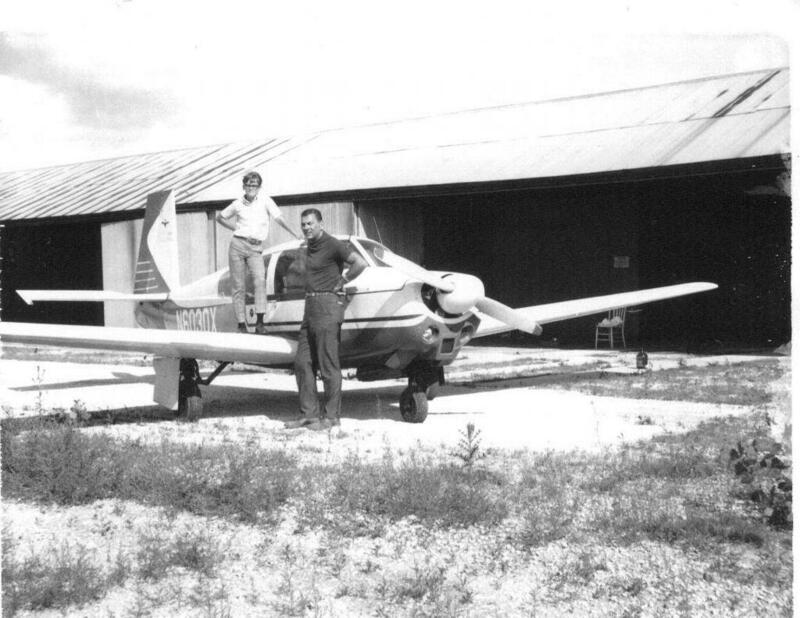 Little bird revisits the nest where she was born 48 years earlier. Nearly 50 years after the first test-flight of N6030X, its original test pilot, Bill Wheat (left) chats with current owner Dave Morris (right), in February 2010, at Fredericksburg, Texas, just a few miles from the factory in Kerrville.